Post Graduate Teachers (PGT) – Interview of English, Hindi, Maths, Physics, Chemistry, Biology, Computer Science, Economics, Commerce is on 23rd March 2018, 8:30 am onwards. Qualification: Master’s Degree or equivalent in the concerned Subject with at least 50% marks and B.Ed (Relaxation sought in B.Ed). Salary will be Rs. 32500/- p.m. pro-rata basis. (i) TGT (Sanskrit, English, Hindi): Having respective subjects as a subject in all the three years of Degree Course. (ii) TGT (Social Science): Having any two of the following: History, Geography, Economics and Pol. Science of which one must be either History or Geography. (iii) TGT (Maths) - Degree in Maths with any two of the following subjects: Physics, Chemistry, Electronics, Computer Science and Statistics. (iv) TGT (Science) - Bachelor’s Degree in Botany, Zoology and Chemistry. b. Pass in the Central Teacher Eligibility Test (CTET), conducted by CBSE in accordance with the Guidelines framed by the NCTE for the purpose or B.Ed (Relaxation sought in CTET and B.Ed). Proficiency in teaching Hindi and English medium. Salary will be Rs. 31250/- p.m. pro-rata basis. 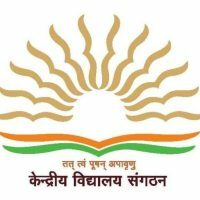 Qualification: Senior Secondary School Certificate with 50% marks or Intermediate with 50% marks or its equivalent & Pass in the Central Teacher Eligibility Test (CTET Primary) conducted by the CBSE in accordance with the Guidelines framed by the NCTE for the purpose or JBT/ B.El.Ed/ D.El.Ed. (Relaxation sought in CTET and JBT/ B.El.Ed/ D.El.Ed). Salary will be Rs. 26500/- p.m. pro-rata basis. a. For PGTs, who have not completed B.Ed. For them Science & Maths subjects 60% marks are required and for other subjects 55% marks are required. b. For TGTs, who have not completed B.Ed and CTET. For them Science & Maths subjects 60% marks are required and for other subjects 55% marks are required. c. For PRTs, who have not completed JBT/ B.El.Ed/ D.El.Ed and CTET. For them Graduation is required. Computer Instructor: Qualification: B.E/B.Tech (computer science)/BCA/MCA or post Graduate Degree in any subject with post graduate diploma in computer application/DOEACC ‘A’ level / ‘O’ level from Govt. recognized institution or equivalent qualification. Interview is on 23rd March 2018, 11:30 AM onwards. Salary will be Rs. 31250/- p.m. pro-rata basis. Games Instructor/Coach: B.P.Ed./Senior National Certificate holder/Coaching diploma or Equivalent and experience in the respective field. Interview is on 24th March 2018, 8:30 AM onwards. Dance Expert : Bachelor degree in Dance or equivalent and experience in the respective field. Interview is on 24th March 2018, 8:30 AM onwards. vocational counselor. Interview is on 24th March 2018, 8:30 AM onwards. Yoga Teacher – Bachelor’s Degree with one year diploma in Yoga from recognized university. Interview is on 24th March 2018, 8:30 AM onwards. Salary will be Rs. 26500/- p.m. pro-rata basis. is on 23rd March 2018, 3 PM onwards. Desirable for All Posts: Knowledge of Computer Applications and proficiency to teach in English and Hindi. Age Limit for both PGT & TGT : 18 to 65 years. How to Apply: Application will be available on the day of Interview and can be downloaded from KV Lumding website. HARD COPY like certificates, mark sheets etc. and one Passport size color photograph is required to be submitted at the time of application or interview. Candidates may be rejected if the documents are not submitted or if the information provided is/are found wrong. More details will be notified along with the results. Mode of Interview: It will be Personal Interview. Selected candidates will be required to join duty by 01 April 2018.